Since it is a birthday theme for this month's Blog Party, you've got to make something that is colourful and playful. 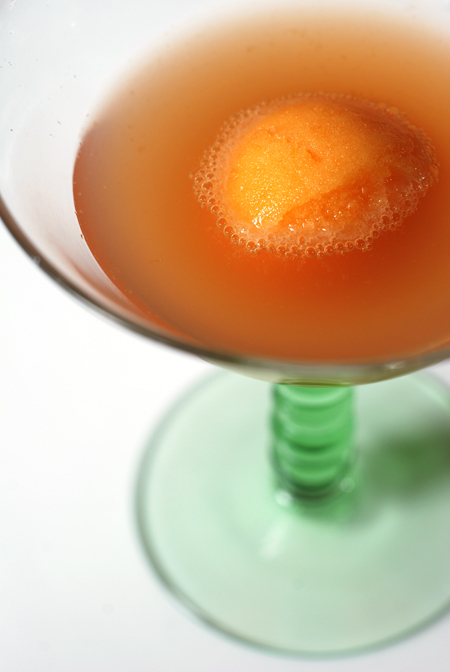 For this drink I've taken the idea of a traditional "float" and used a combination of mandarin sorbet and a refreshing and "girly" Sparkling Pink Lemonade - for those that like a little kick in their beverages, a little vodka can also be added. a drink/dessert after my own heart....and the vodka is not optional in my case! :) love it! Thanks Avesta - lemon vodka goes well in this float!